The 1985 U.S.-China civil nuclear cooperation agreement will likely be renewed after passing the review of U.S. lawmakers. As the Associated Press reported on Tuesday evening, U.S. legislators failed to act within the 90-day review period which expired last Friday. As a result, the U.S. State Department confirmed that the two countries will decide “a suitable time in the near future” for when the extension of the agreement will come into force. In fact, with this news, it is likely that this will be one of the few deliverables, in addition to continued progress on a Bilateral Investment Treaty (BIT), where Xi and his U.S. counterpart, Barack Obama, can point to following September’s bilateral summit. With tensions high and both sides eager to portray their relationship as still-on-firm-ground, no positive development is too inconsequential. Though the U.S. Congress failed to act against the renewal of the agreement, there was certainly considerable disagreement among lawmakers. Advocates highlighted the benefits of the deal to U.S. commerce, highlighting the preservation of U.S. jobs in the nuclear energy industry and the fact that its continued implementation would allow China to purchase U.S. nuclear technology. Indeed, had the deal been derailed, ongoing projects in China to construct four U.S.-designed reactors, worth an estimated $8 billion, could have fallen through. With a renewal of the deal, the U.S. Department of Energy’s plans to help China produce molten salt reactors can also proceed. Proponents of the deal also point out that expanding the use of nuclear power in China could reduce the deleterious effects of Chinese fossil fuel use on the environment. By the same token, critics noted that China could purchase critical U.S. nuclear technology to reprocess spent reactor fuel to acquire additional fissile material to expand its nuclear arsenal. China first tested nuclear weapons in 1964 and became a recognized nuclear weapon state under the Nuclear Non-proliferation Treaty when it acceded to in 1992. U.S. opponents of a renewed deal highlight China’s adversarial status and pointed to suspected Chinese proliferation activity. China is suspected to possess a nuclear arsenal of around 250 devices, far short of the more than 7000 nuclear warheads the United States maintains. In the 1980s, prior to signing the NPT, China is suspected of having assisted Pakistan in its bid to acquire the bomb—Pakistan remains outside of the NPT regime. Additionally, critics of continued civil nuclear cooperation with China expressed concerns that U.S.-designed nuclear tech could find its way into Chinese nuclear submarines. That Congress didn’t block the renewal of this agreement will comes a relief to the Obama administration, which seeks to maintain its bilateral relationship with China on good footing. 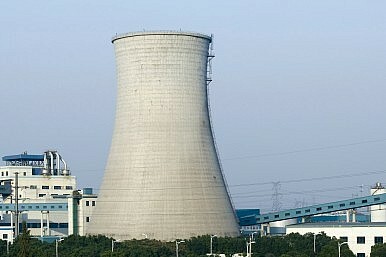 Nuclear cooperation with the United States is a sensitive topic for China; after sanctions were put into place by Congress following the Chinese government’s massacre of peaceful protesters at Tiananmen Square in June, 1989, nuclear cooperation was suspended effectively through 1998. It’s hard to say just how poorly China would have reacted to the deal’s non-renewal, but the Obama administration will be thankful it won’t have to find out.